Coach Kevin Whiteman has been involved in sports, specifically football, for quite some time. 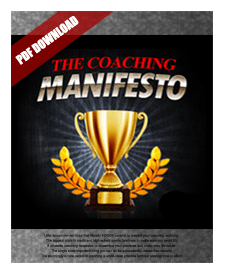 His role as a head football coach as well as his position as a health and physical education teacher gives him a wide variety of experiences dealing with young athletes, particularly how to discipline them and create winning attitudes. If you're a coach, you may have noticed that in the past several years, the kids of our society seem to have a self-absorbed attitude. Coach Whiteman has certainly noticed it, and he spoke about what can be done to help instill self-discipline in this generation of kids.